After seven months working and biding my time in England, I’m back on the road again! This time doing the rounds of Asia. While you’re never truly alone when travelling, this time I’m being accompanied by my brother for the first 6 months. To get us started we’re heading to Bali for three weeks to attend a family reunion and to get to know the popular Indonesian tourist mecca. With just over 4 million people, Bali began to gain popularity as a tourist destination in the 1960’s when it was ‘discovered’ by a small group of Australian surfers. Only 3 hours flight from Perth, Bali’s popularity erupted and tourists swept into the island. This influx of foreign money greatly lifted the standard of living on the island. During the early 2000s two religious-based terror attacks in tourist areas set the industry back. But in the years that followed the island’s reputation bounced back. Australians make up a large portion of the foreign tourists on the island often giving the impression that there are more Aussies than Balinese. China has the second highest tourist count here. There are several main tourist areas in Bali, one is Kuta on the south-western coast surrounded by the townships of Legian and Seminyak. With beaches of golden sand, a day at the beach in Bali means hiring deck chairs and relaxing in the heat under a sun umbrella. With the deck chairs tended by beach bars there’s easy access to drinks, food, the warm ocean and plentiful bronzed bodies ripe for people watching. But be warned, while you’re relaxing if you should pay even the slightest attention to hawkers on the beach, they’ll appear in swarms trying to selling sunglasses, watches, sarongs, toys, hats, clothes or wanting to massage, paint nails, groom, plait hair and the like. Learn to ignore them and they’ll move on to the next target leaving you to relax in relative peace. As the sun sets, deck chairs are replaced with bean bags and the bars begin serving all manner of dinner and cocktails. The hawkers are still active, trying to sell glowing or sparkling light toys, while mosquitos come out dine. Walking around the bustling tourist areas there are plentiful spas and massage houses offering all kinds beauty therapies and massages. With the prices averaging between 60,000 and 100,000 rupiah per hour (AU$6 – 10) getting one every 2nd day is easy. And yes, that was AU$6 – 10! Because of the sheer number of massage houses and fierce competition, groups of young women try to coax wandering tourists into the spas with calls of ‘massards’ and the waving of price lists. While I’m sure ‘Happy Endings’ can be found if that’s your thing, sticking to reputable outlets and the service will be professional. Bali has many specialist dental surgeries at a fraction of the price of Australia or New Zealand, so it’s not uncommon to come here for a holiday and get some work done. The dentists are highly qualified and provide top quality services. Thankfully I needed nothing more that a checkup and clean. Bali has many restaurants offering all manner of food. This is probably the downside of holidaying on this Indonesian paradise, too much choice. While most restaurants serve traditional local foods such as Nasi Goreng, most serve Western foods too. There are restaurants that specialise in French, Italian, Spanish, Russian and American foods, not to mention Thai, Malaysian, Indian, Vietnamese, Chinese and Japanese. I particularly enjoyed the Japanese Jazz restaurant for both the food and the live band. Prices are close to Australian prices and can add up if eating out every night. However, it’s not difficult to locate local eateries with plentiful great food at cheap prices. A popular restaurant, Warung Murah, literally meaning ‘Cheap Restaurant’ in the Kuta area provides excellent food at a good price. If you go over the top and get a large plate, you could pay somewhere close to AU$6 for your meal. Be warned! There are also plentiful local street venders carrying their hot food around on the back of their scooters. Indonesia has an international quality beer named Bintang which is very popular among tourists, especially when served in the Bintang Tower. Balinese wine, in many tourist’s opinions however, isn’t up to international standards and with foreign wines being expensive, most stick with the beer. There are plentiful spirits, but only drink the known labelled brands, as the cheaper local brands may include an ethanol blend that has been known to cause death when consumed. 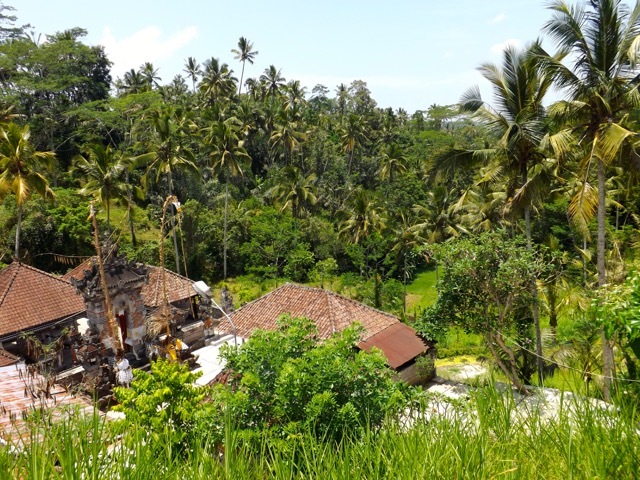 Next, I take a look at some of my adventures on the island paradise of Bali. There’s no denying that Las Vegas is the Entertainment Capital of the World. While many cities try to match the intensity and vibrance of Vegas, only a few come close to the glamour and the hideous wealth that brings people from all corners of the world. Like a shining beacon in the Nevada Desert the city sparkles day and night with its brilliant lights flickering and dancing. This is especially so along the world-famous ‘Las Vegas Strip’, which dominates the southern end of the city even though it’s not actually within Las Vegas city limits, but in the cities of Paradise and Winchester that surround it. The wealth of the city is centred around the multi-billion dollar casino and hotels, and there are many of these block-sized behemoths owned primarily by two corporations. But if they didn’t have enough casinos in the city, more are being built. This includes completing some of the half-built skeletons of hotels left abandoned after the financial collapse a few years ago. Even corporations that don’t have towering casinos are well represented, such as the massive Coca-Cola store and the four level M&Ms store, with one floor having an entire wall covered in M&Ms. Las Vegas is definitely the city of the slot machine with nearly three hundred thousand scattered everywhere, from the airport foyer to gas stations. This isn’t to mention entire floors of them in every casino. The slot machines are themed on almost anything you can think of in attempts to draw the casual gamer. But like most, they give a little enticing the player with hopes of winning, then, if you let them, taking back all that was given and more. There are many other attractions in the city beyond the casinos, such as the roller coaster circling the New York New York casino, the rides atop the towering stratosphere casino, the Mob Museum and the Fremont Street Experience. Fremont Street is in the centre of the Las Vegas ‘downtown’ area surrounded by older casinos. Along the covered street are many street performers, including many pop culture performers and celebrity lookalikes. There’s a lot of talent in Vegas with many comedians and musicians getting their start in the city. But Las Vegas is also the place where performers of old go to scrape out a living after their buzz has died down; these include David Copperfield, Celine Dion and Meatloaf, to name a meagre three. Alcohol laws are relaxed around the city. Almost every store sells it and some in large vessels like the daiquiri filled plastic yard glasses or the near actual sized plastic guitars filled with some alcoholic concoction. Alcohol is everywhere at all hours of the day and night. Honestly, who can resist a shot or two of the sweetest Tequila in the world, Dirty. This is especially so when the shots are twice normal size and only $2 each! At a location along Las Vegas Boulevard between The Strip and the downtown is the towering casino Stratosphere. The building looks similar to the Skytower in New Zealand, and is only 20 metres taller. Atop the massive building there are four rides, a SkyJump similar to that on Auckland’s tower; The Big Shot, the highest thrill ride in the world which flings you into the air before letting you free fall down again; Insanity, dangling you over the building’s edge and spinning swiftly around; and lastly X-Scream, a roller coaster car that shoots you over the edge and stops suddenly, dangling you there. Overall, Las Vegas is an interesting place to spend a few days partying it up or throwing away your money, that’s if you can stand harassment by street hawkers or the relaxed inside smoking laws that make the slot machine floors harsh on the eyes and lungs. It’s not a bad place as long as you set a limit on everything and quit while you’re ahead. This is my final stop on my trip through Australia, Antarctica and the Americas over the course of sixteen months. Next I’m off to London, England, for a well deserved rest from travelling and to begin planning my next escape. Nestled under Volcán de Agua in the Guatemalan highlands is the colonial city of Antigua. The city was once capital of Guatemala but has had a rocky history, literally. In 1717 an earthquake destroyed 3000 buildings, then in 1783 another earthquake decimated more of the city, causing those in power to move the capital to the safer Guatemala City. Because of its location Antigua is a hub to explore Guatemala, with Guatemala City only 45km to the east, the port of San Jose on the Pacific coast an hour south and Lago Atitlan to the west. For those keen enough, a long shuttle ride to the famous Mayan ruins of Tikal far to the north of the country can be organised. The streets themselves are cobbled. But not the perfect jigsaw of cobbles seen in some modern streets, instead a crazy mash of rounded stones that make driving on them in Tuk Tuks a bumpy experience. The city is flat, however, so unless you’re carrying a lot of baggage or just lazy, walking is the best way to get around. … some were not so lucky although still usable. Those that didn’t fare so well have been cordoned off and for good reason. The city does have a touristy feel about to it and because of this it’s more expensive than other places in Guatemala. Around the central park there are many fine restaurants and bars. And for the first time in Central America, a working fountain! Next I head west to San Pedro la Laguna on the shores of Lago Atitlan.